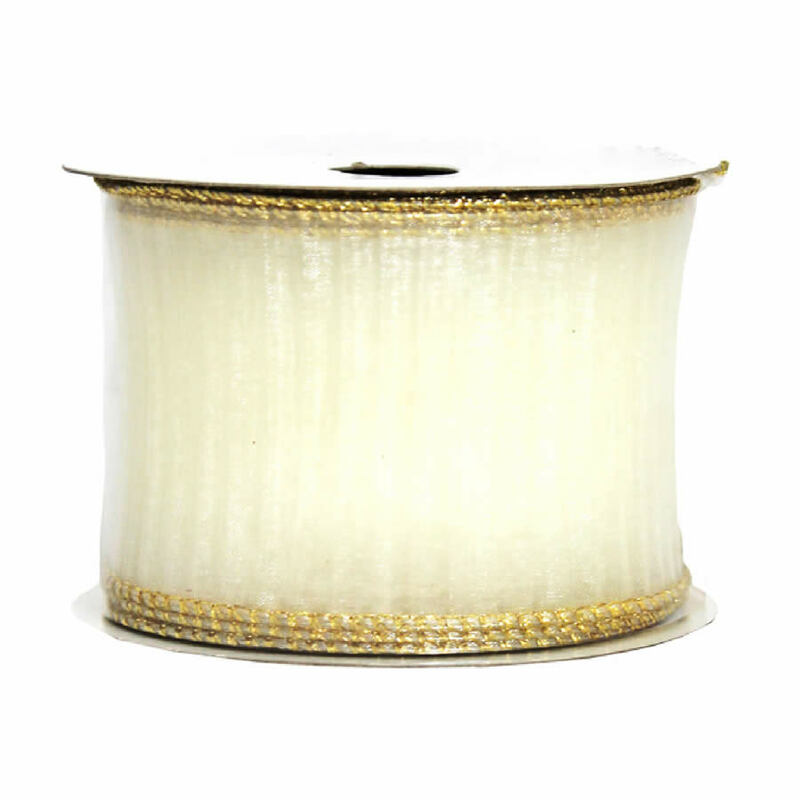 Each 9-metre length of the White Ribbed Gold Edge Ribbon measures around 7cm in width, which makes it perfect for trimming wreaths, trees, and creating the most gorgeous bows found! The sheer neutral coloured ribbon gives accents and decor the perfect finishing touch, regardless of the colours or styles of your projects. 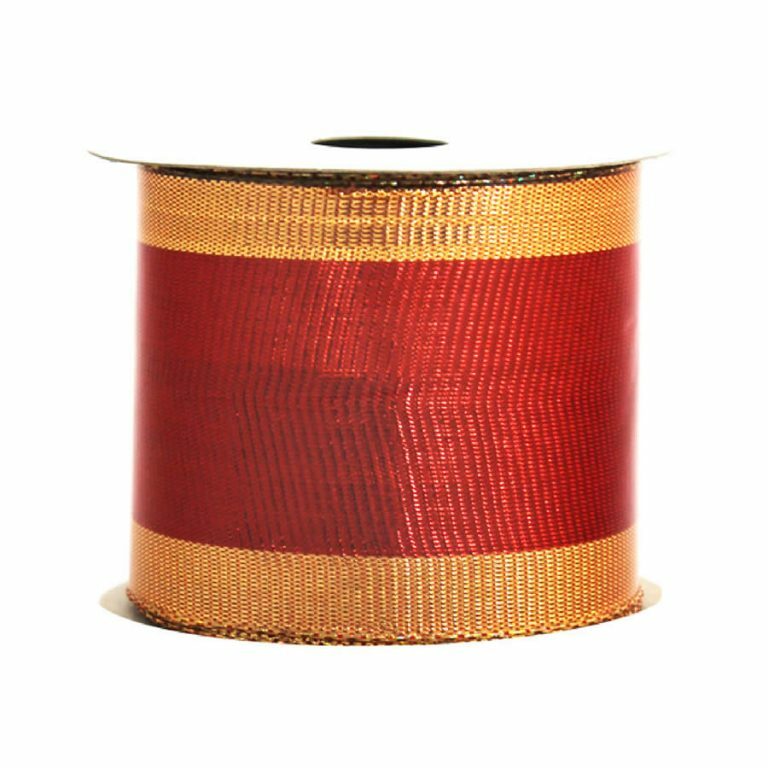 This versatile ribbon is edged with wire and accented with a gold-tone trim. This enables buyers to form and shape their bows or other creations to complete their Christmas visions perfectly and easily. 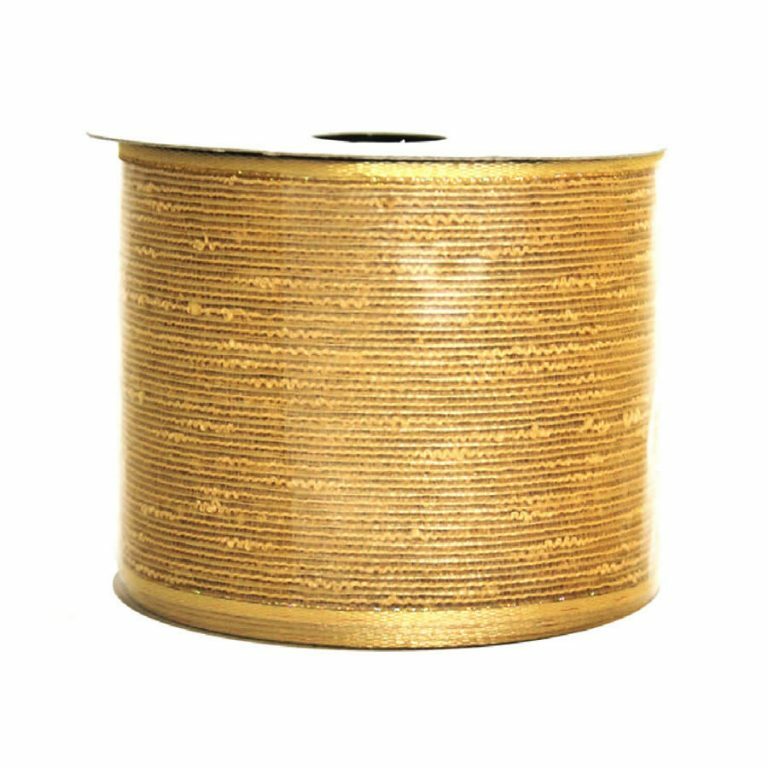 There is a chic elegance and textural component to this ribbon. 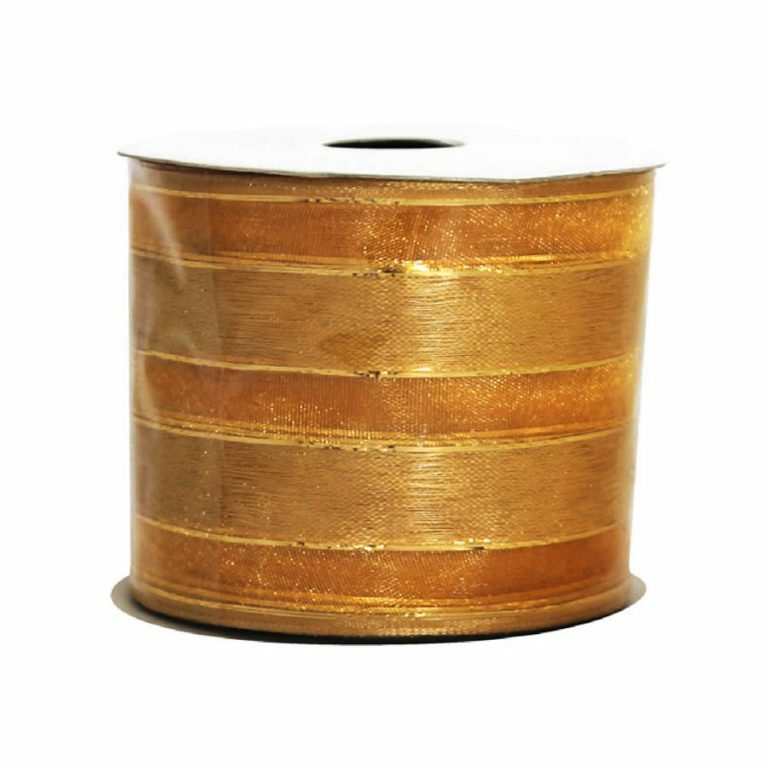 It would truly elevate any tree, wreath, or package when paired with metallic shades of gold, silver, or copper. 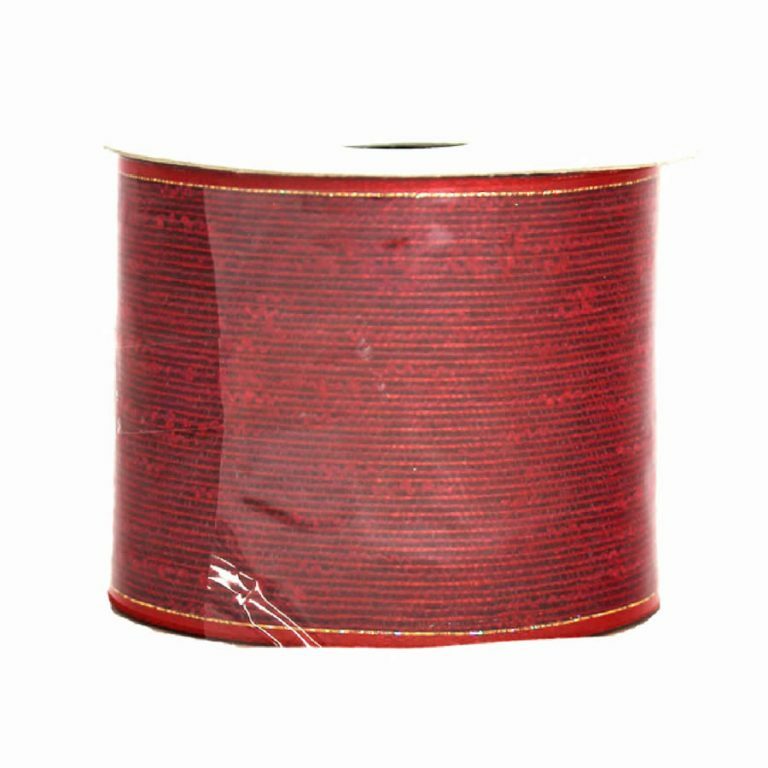 This ribbon might also be the ideal accent for a special gift or decorating theme when planning a shower or wedding, too.